Microsoft is preparing a major update to its Vista operating system. Windows Vista Service Pack 2 will enter beta testing next week, the company has confirmed, with a public release date to follow. * Improved WiFi setup with changes to Windows Connect Now, Vista's network configuration tool designed to detect and configure wireless devices. * Better time zone-safe file synchronization with new support for the exFAT file system, which allows for UTC timestamps. Beta testers in Microsoft's Technology Adoption Program will get the new service pack next Wednesday, October 29. Microsoft says the final release date will be determined based on the feedback received and any changes required during the testing period. The update will eventually be available for both standard Vista configurations and systems running Windows Server 2008. The news of Vista Service Pack 2 comes in the midst of a busy month for Microsoft. The company is gearing up to reveal its upcoming Windows 7 system at its Professional Developers Conference in Los Angeles next week. 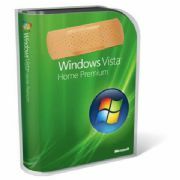 Microsoft also rushed out an emergency Windows patch for all Windows 2000, XP, and Server 2003 users on Thursday.